to the Huntington Dental Community!!!!! 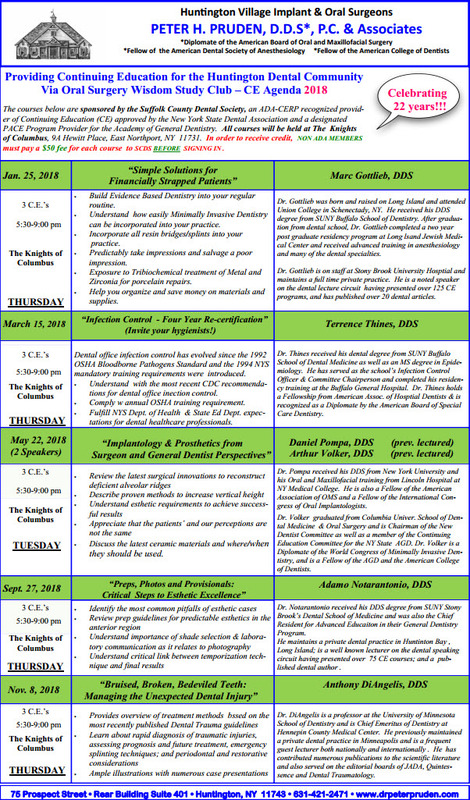 We are excited to present our 2019 Continuing Education Curriculum for our Referring Dentists. 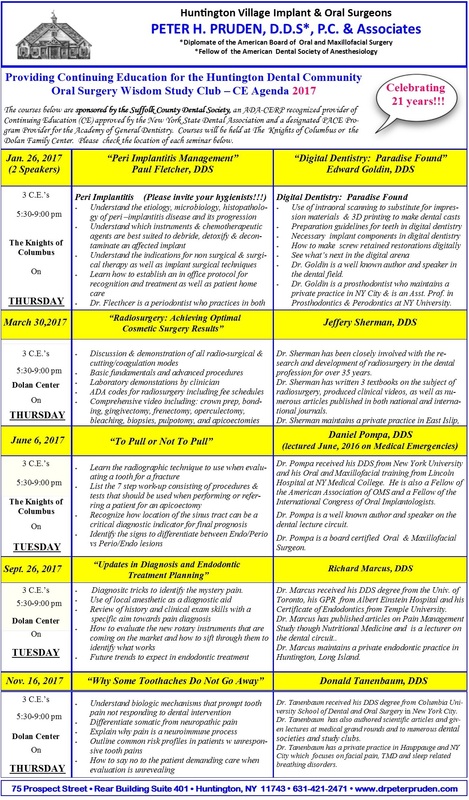 This year's agenda will cover a variety of topics in dentistry that are of concern to general and restorative dentists. The course subjects promise to be informative and insightful, and we look forward to seeing you at the below listed lectures. Please note that all our lectures will be held at the Knights of Columbus Hall at 9A Hewitt Square, East Northport, NY 11731. Please mark your calendars in advance so you will not miss out on these educational opportunitues! 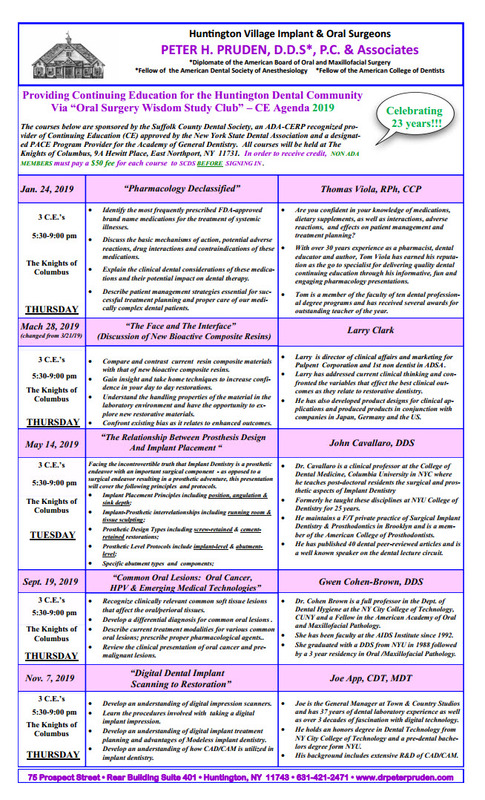 The courses below are sponsored by the Suffolk County Dental Society, an ADA-CERP recognized provider of Continuing Education (CE) approved by the New York State Dental Association and a designated PACE Program Provider for the Academy of General Dentistry.